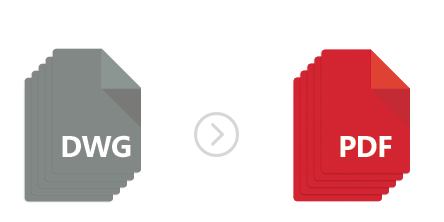 For easier access, storing and transferring options, DWG files will often be converted to PDFs. reaConverter’s latest edition not only allows you to process this conversion fast and easy, but also to customize the conversion of multipage DWGs to multipage PDFs, by picking one of the 3 available options: all layouts, only model space or only paper space. The feature is also available for the DXF format, which represents DWG’s interchange version, and can be operated from command-line as well. Select all the multipage DWG or DXF vector files you intend to convert and drop them into the reaConverter window. 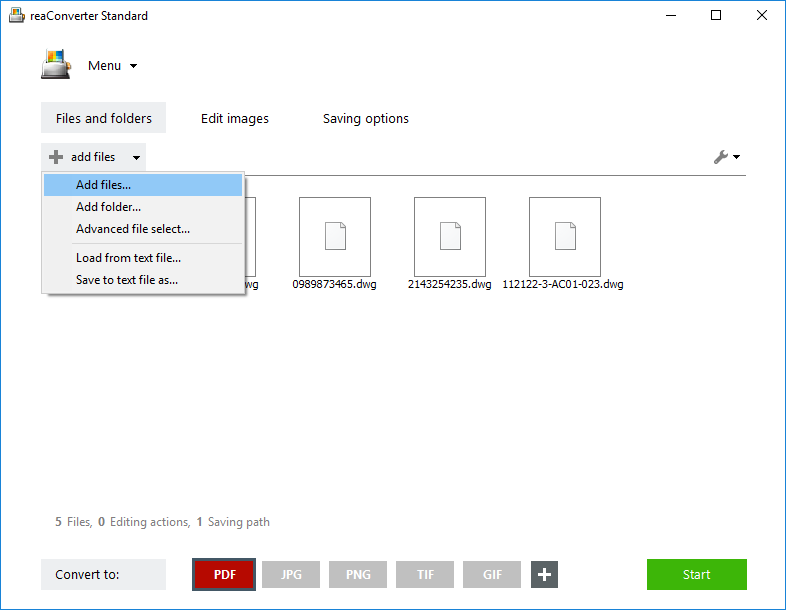 You can also use the Add files button and opt for the Advanced file select option, which allows you to pick a particular type of extension only, from a source folder containing several others. Go to the Menu button and click Loading settings → Vector formats loading settings. Here you can tick one of the available options for the multipage DWG or DXF output layout. reaConverter allows you to process all pages (all layouts), only “model” pages (model space) or only “paper” pages (all paper spaces). 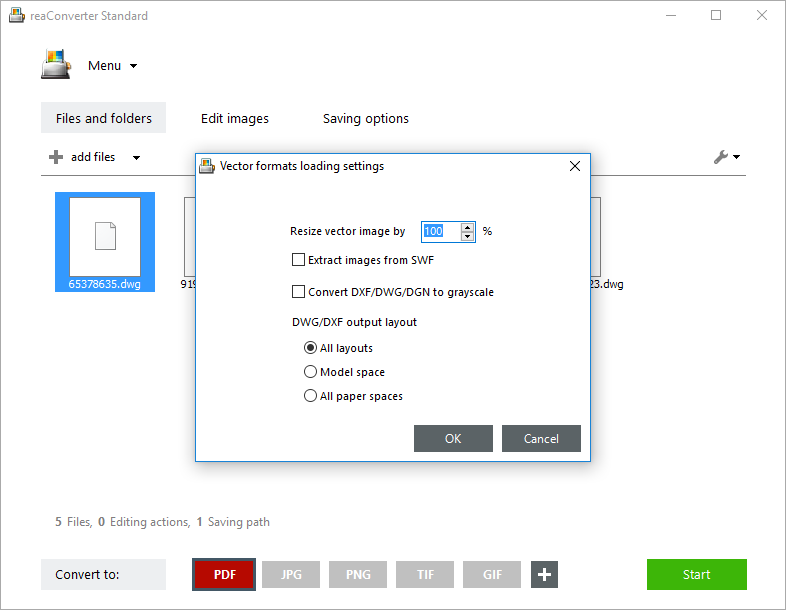 Click Convert each multipage file to another if you want to create a multipage PDFs. In the Saving options tab, decide where you will store the resulting images. You can use one of the available destination options — source folder, subfolders, a customized folder. Finally, pick PDF as an output extension from the buttons placed in the lower part of the window. 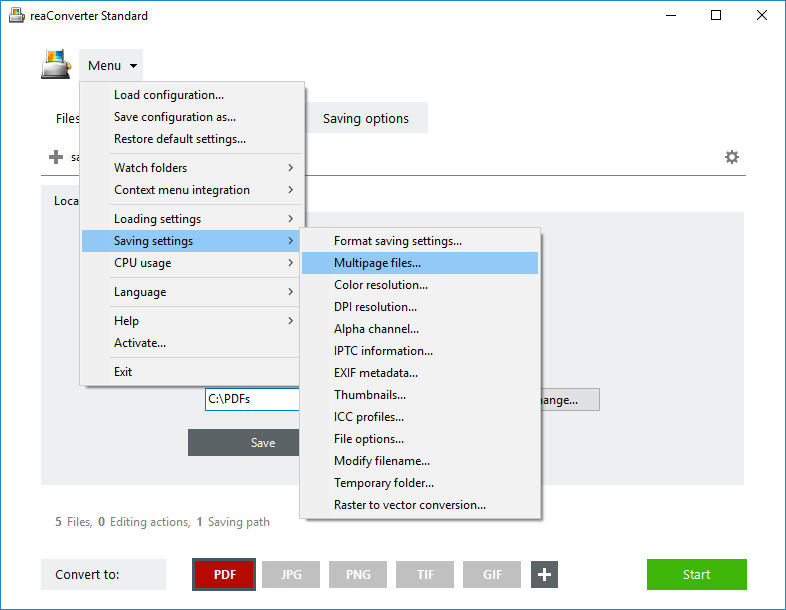 You can also set PDF specific settings from Menu → Saving settings → Format saving settings menu. 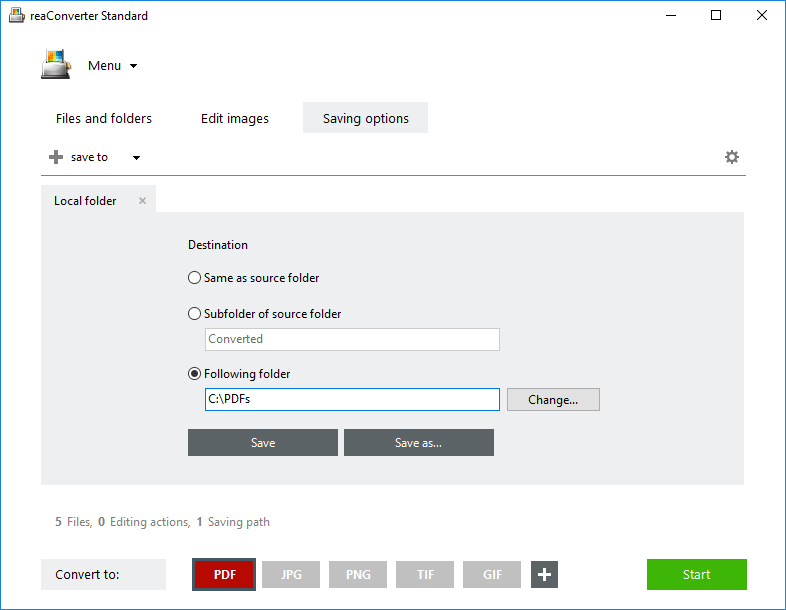 PDF Security Settings section allows you to enter a password for opening the output PDF files and one for allowing various actions applied to it — printing, editing or copying. When you’re done, don’t forget to click OK to save your options. 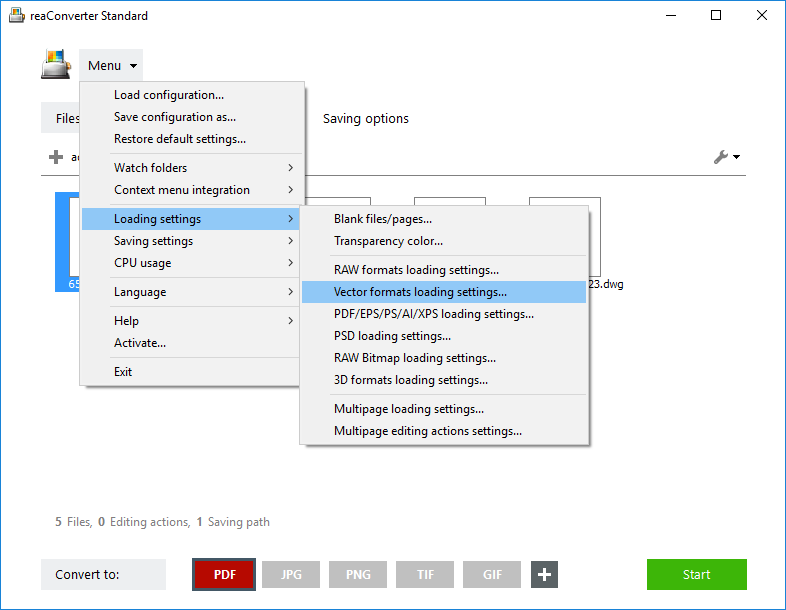 Then simply press Start, sit back and wait for your new multipage PDFs to be ready! Advanced users can convert convert multipage DWG to multipage PDF with command line interface or DLL in manual, automated or scheduled mode. You are welcome to contact our technical support when you have any questions about reaConverter.